Our 16' New Orleans based 1 Ton Grip Truck carries the latest in grip equipment and has a larger capacity than a Sprinter Van. 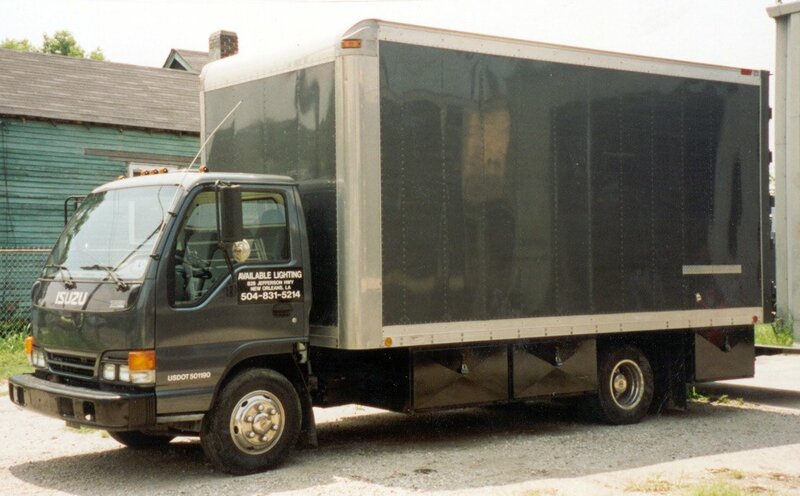 A small electrical package is carried on the truck and is included in the price of the truck. A tungsten lighting package is available on the truck for your convenience. We can also add HMI or LED fixtures to complete your package. As the only authorized Fisher Dolly representative in New Orleans we can also add a Fisher 10 or Fisher 11 Dolly and a Fisher 21 jib arm for your project. The grip truck driver's wages are not included in price of trucks. Grip truck drivers are independent contractors and charge for their services.